Being a college student I know the feeling all to well. 5 more minutes turn into 50 and before you know it, it’s midnight and your starting to freak out because your alam is set for some ungodly hour in the morning. I have perfected the ‘I’m awake on the outside but still snoozing on the inside’ look so I thought I’d share with you a few of my tips for those late nights and early mornings. 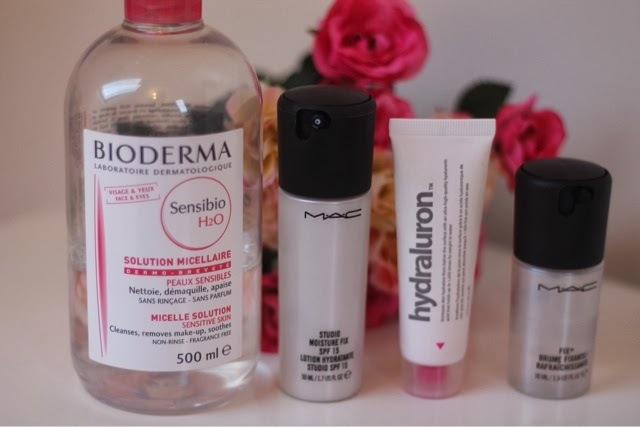 Skincare: I like to use a cleanser in the morning as well as at night, this helps to make me feel more awake and hydrated. Bioderma is the perfect cleansing solution to help combat those tired feeling eyes and tight skin. It removes any of last nights stubborn mascara or eyeliner as well as cleansing the skin. Hydroluron is also a favourite of mine to use in the morning, this hydrates and even outs my skin; leaving it refreshed and glowing. Using a good moisturiser is key for awake looking skin. I’m currently using Mac studio moisture fix SPF 15. This creates a soft base for my foundation to go onto. 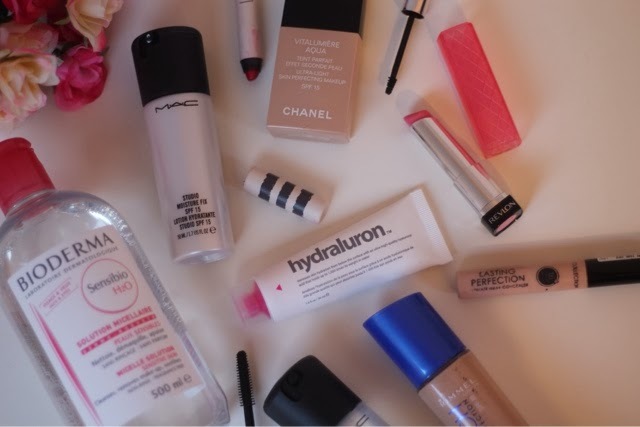 Base: When it comes to the combination of base and tiredness, I like to keep things light but full coverage. Nothing too heavy with a healthy amount of glow. Chanel vitalumiere aqua is the perfect balance between good coverage and fresh looking skin. However for days when I want a bit more coverage I go for the rimmel match perfection foundation. Collection lasting perfection concealer is the best for hiding those stubborn blemishes and dark under eye circles, as it gives a medium to high coverage without looking cakey. 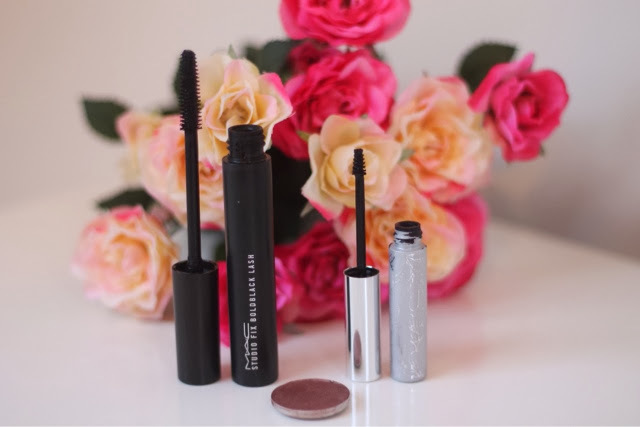 Eyes: I like to keep things simple with a light smokey eye but with a tonne of mascara. Mac’s eyeshadow in Sable is the perfect shade for all over the eye as it’s easily blend able and gives a gorgeous rose gold colour when blended. Staying to the glowing theme as it gives just the right amount of shimmer to the eyes. I then layer up the mascara, on both top and bottom lashes. This makes the eyes look more awake, if I’m super tired and want to look more approachable I add a soft white kohl eyeliner to my water line, this opens up the eyes and creates that ‘I’m awake’ look we’re all after. Lips: Now this depends on your mood, if your not feeling your best, a bright lip normally makes me feel more together and it helps to make you look like your ready for business. But if your feeling ok and just want something to quickly slap on, I tend to go for a neutral or baby pink lip. 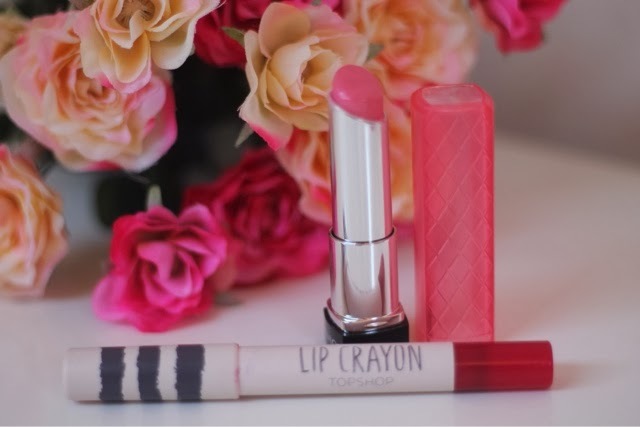 Revlon lip butter in strawberry shortcake is the ultimate colour for any baby pink cravings. To finish off the ‘I’m awake look’ I tend to pick out my favourite fragrance, and at the moment I’ve been loving Blackberry and Bay by Jo Malone which I’ve done a review on here. This helps pull the whole look together and you are ready to face the day. Whether your going to school, college, work or staying at home but still want to make an extra effort. 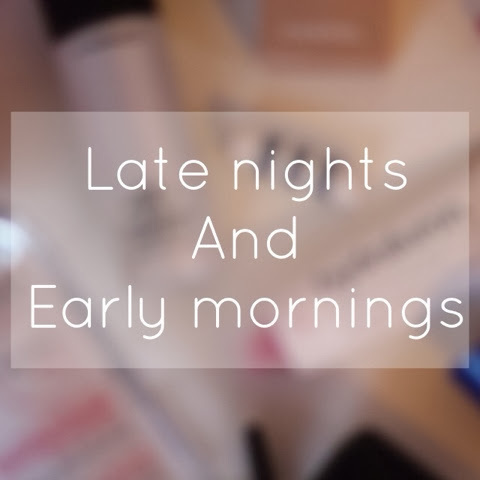 So are you guilty of having late nights and early mornings? And what are your tips for helping you feel awake for the day? Whenever I see Chanel my heart trembles.